﻿ Schrocks Amish Farm and Village - Ohio. Find It Here. 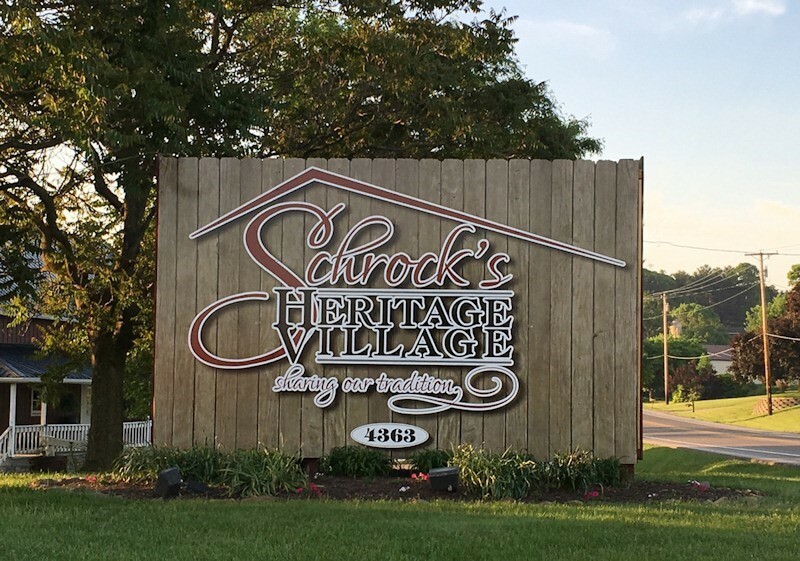 Conveniently located near Berlin, Schrocks Amish Farm and Village is a family-friendly destination for visitors to Ohios Amish Country. Unique shops are open year round and seasonal activities include a ride in an authentic Amish buggy on the farm that features picturesque ponds and quiet wooded areas.Take an Amish buggy ride and tour an Amish home. Visit with Alma in the kitchen and enjoy fresh baked goods. Enjoy a delicious meal at the Olde World Bakery & Cafe. Kids of all ages will enjoy the farm animals and there are plenty of opportunities to feed and pet them as you observe the inner workings of an Amish farm including milking the cows, shoeing the horses and field work.